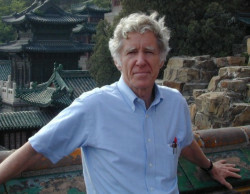 After half a century of working on global environmental issues, Lester Brown, who pioneered the concept of sustainable development and of looking at global issues through an interdisciplinary lens, is retiring. Until the end of June, the Institute will continue to publish articles and will also be releasing its fourteenth book. 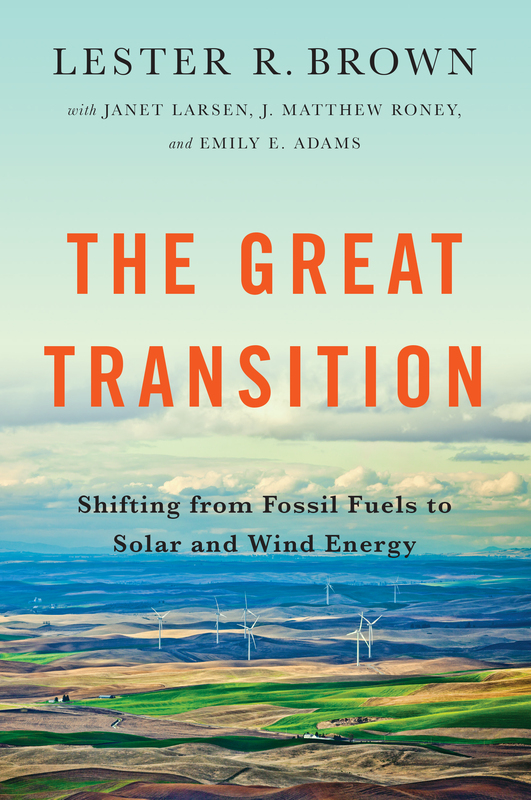 The Great Transition: Shifting from Fossil Fuels to Solar and Wind Energy will be released around April 20, 2015. Written by Brown and his colleagues, Janet Larsen, Matt Roney, and Emily Adams, the book details the rapid emergence of a new world energy economy. The old economy, fueled largely by coal and oil, is being replaced with one powered by solar and wind energy. The transition is quietly unfolding. For instance, in the U.S. Midwest, Iowa and South Dakota are generating at least 26 percent of their electricity from wind farms. Denmark generates 34 percent of its electricity from wind. Portugal and Spain are above 20 percent. In China, electricity from wind farms now exceeds that from nuclear power plants. And in Australia, 15 percent of homes draw energy from the sun. With solar and wind costs falling fast, their spread is accelerating.